Week 16 finished for everybody in a brilliant fashion that will be memorable for many years to come. Whether you won or lost in a tight matchup you will always remember the 2017 NFL fantasy football season as the one that ended on a Christmas night. Last week’s article featured some nice plays with Blake Bortles, Mike Gilislee, Keelan Cole, and the Chicago Bears D/ST. However, depending on how your league is formatted, you still may have one more week to go! Week 17 is the final week of the NFL regular season and for some the fantasy football finale. 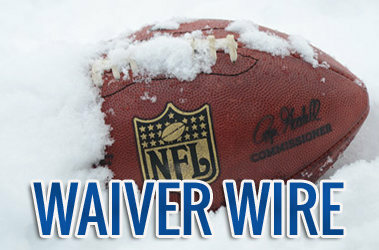 Let’s have some fun and finish strong with the final waiver wire pickups for Week 17! Be sure to consider your leagues scoring format. If you play in a two-week playoff and are in a total points deficit (like I am), target more high upside players for Week 17 to make up some of the points. The Jacksonville Jaguars and the Kansas City Chiefs are both locked into their respective #3 and #4 playoff seeds. They have nothing to play for in Week 17, so relying on their starters could be risky. That being said pending an Eagles victory on Monday night versus the Raiders that would make the Philadelphia Eagles and Minnesota Vikings locked in at #1 and #2 seeds respectively. Additionally, the Los Angeles Rams are locked in as either the #3 or #4 seed, so it will be interesting to see how their coaches handle that. 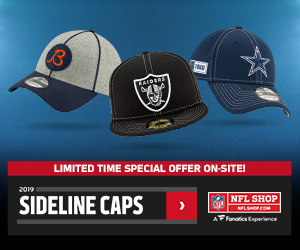 All other teams in the playoffs will have something to play for in Week 17, so you can be confident that their starters will play significant snaps. In a game where most predicted that Jimmy Garoppolo would struggle, he shined versus the Jacksonville Jaguars. Aside from one interception, Jimmy G was 21-of-30 passes for 242 yards and two touchdowns in the 49ers win over the Jaguars. His 22.98 fantasy point performance versus the Jaguars was the second highest any QB has had against them. Week 17 has Garoppolo going on the road versus the Rams defense that has allowed the ninth-fewest fantasy points versus the QB this season. However, because of how Garoppolo has played and how good the Rams offense is, he will be forced to air it out. Over the last three weeks, the Rams have allowed an average of 40 pass attempts to opposing QBs. Pick him up and start him if you are playing Week 17. Especially if the Rams also decide to rest some of their defensive starters. 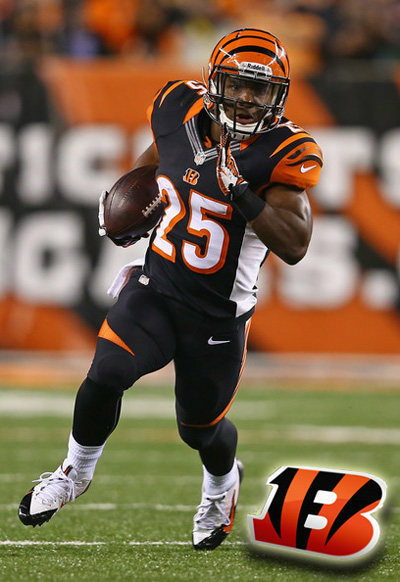 Bernard filled in admirably for the injured Joe Mixon in Week 16 compiling for 116 rushing yards and a touchdown. He also caught seven passes for 52 yards in the Bengals victory over the Detriot Lions. It would not make sense for the Bengals to send out Mixon in the last game of the year if he is not 100 percent healthy, so I like Bernard to continue to get volume. Blue over the past two weeks has out carried fellow running back Lamar Miller 19 t0 28. And not only has he out carried Miller, he has outproduced him! Blue has rushed for twice as many yards over the last two weeks and has a juicy matchup versus the Colts in Week 17. The Colts have allowed the sixth-most fantasy points to the RB this season. Yeldon gets the majority of work on third-downs for the Jacksonville Jaguars, and I can see him getting a ton of work with the Jaguars possibly resting some of their starters next week. They have nothing to play for and with Leonard Fournette’s injury history it only makes sense they would sit him down for Week 17. The Titans also got destroyed last week by Todd Gurley, so there is a good chance that Yeldon could also get some damage done. Chris Ivory is also worth an add as well, in standard leagues. 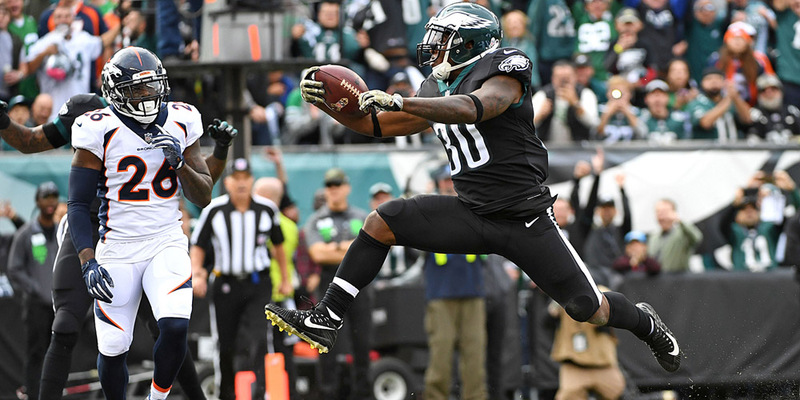 If the Eagles lock up everything on Monday night, Clement could be the presumable starter in the backfield versus the Cowboys in Week 17. A volume play for sure, Clement has a nose for the end zone and could be useful. Kareem Hunt’s main backup, West could see great volume if Hunt is rested for the Chiefs. The matchup is not great, but still, the volume could be enough for West to have a productive fantasy outing. Doctson has struggled as of late but did break off one long touchdown versus the tough Denver Broncos secondary in Week 16. The most important statistic to note is that Doctson had a season-high 13 targets. Kirk Cousins is looking his way quite often, and the matchup versus the Giants in Week 17 is very enticing. The Giants have allowed on average over the past five weeks 25.83 fantasy points to the WR position. Second, on the team in total targets a week ago, the rookie product stepped up in place of the injured DeSean Jackson catching a 70-yard bomb from Jameis Winston in Week 16. In Week 17 the Saints will be visiting Tampa Bay at a home, where Pro Bowl corner Marshon Lattimore will be locking up with Mike Evans leaving space for Godwin to operate. A sneaky FLEX play for sure. Antonio Gates, the man, the myth, the legend, came back to relevance in Week 16 going with six catches for 81 yards and a touchdown on eight targets. In the absence of fellow tight end Hunter Henry, Gates responded to the uptick in volume. If you have struggled with the TE this season definitely look to Gates on the waiver wire. The Chargers are in a must-win situation this week, so you can expect that they will get Gates involved to help them win the game. Like I have previously stated, if the Eagles win on Monday night, then they will most likely rest their starters opening up things for tight end Trey Burton. Burton has excelled when given the opportunity when Zach Ertz has missed time, so I am confident he can produce in Week 17 versus the Cowboys if he is given the opportunity. Last one of the year folks for those still playing fantasy in Week 17!!! Who is the best add on the waiver wire this week? Thanks for all the support all season! It has been a pleasure writing these articles and I hope that these have provided a guide for your fantasy football success! Until next year this is Andrew Erickson signing off!